Get ready for back-to-school savings. Connecticut’s annual sales tax holiday is right around the corner! Mark your calendars for Sunday, August 19 through Saturday, August 25 to save with some great exemptions. Over a decade ago I worked with legislators on both sides of the aisle to introduce legislation establishing Connecticut's tax-free week. I also helped fight efforts to repeal this shopping event, which has helped Connecticut consumers save. 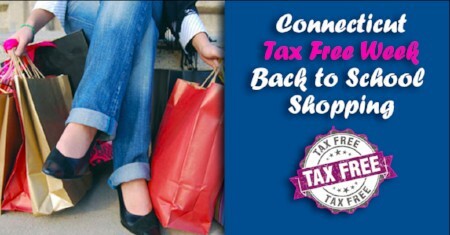 During this week, most clothing and footwear priced below $100 will be exempt from Connecticut’s standard sales tax. In past years, with exemptions from Connecticut’s 6.35 percent sales tax, shoppers have saved over $4 million in taxes. The Department of Revenue Services has compiled a list of eligible tax-exempt items this year. Put your shopping list together and get ready to save!